Fear not, the redness of tooth and claw is hidden here from the young reader in this first encounter with the natural world – hidden along with the fat black plastic sacks in the corner of fields, the shooting of migrating birds, and the dying-back of the ash trees The introduction has an Edwardian beauty about it, allied to a wonderful affection for their theme on the part of both author and her closely-collaborating illustrator. Nicola Davies takes us through the seasons, not in any classroom fashion but with bits of fact (birds constructing nests, worms enriching the soil) intermingled with poetical musings (which include a nice breadmaker's variant of 'The House that Jack built'), and the practicalities of feeding birds or making compost and blackberry crumble (an excellent recipe). It's all held together in this large and weighty volume by Mark Hearld's kaleidoscopic shepherd's-hay of designs. Biological exactitude makes way for visual excitement – but I wish to goodness I knew more about those spiderlings or where I might still buy a Hocking's Green or a Blenheim Orange. 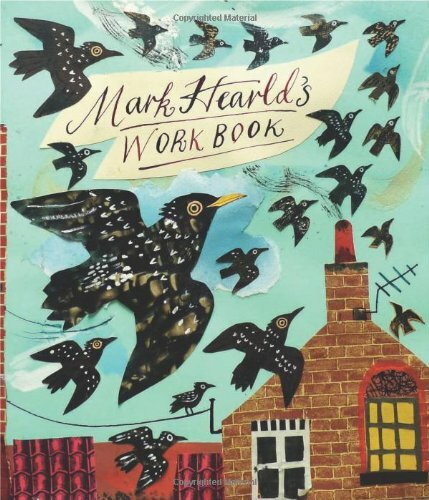 An even weightier volume must be recommended to readers interested in Mark Hearld's graphic work, appropriately titled Mark Hearld's Work Book. Including one or two contributions by Simon Martin and Peter Scupham, it outlines his career – and especially the artists who have influenced his illustrative methods – and is packed full of examples with his own commentary on techniques. 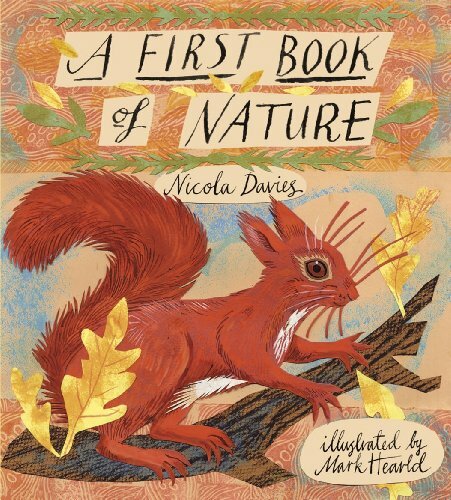 The book itself is designed by Nicola Bailey.